At the Source step of the wizard, select files and folders that you want to copy. 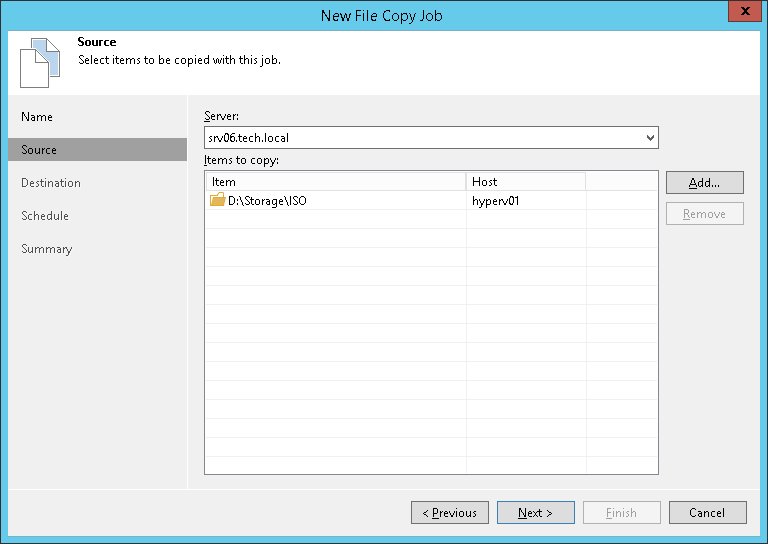 From the Host list, choose a host or server on which files or folders that you want to copy reside. Click Add and select files or folders that must be copied. The selected items will be added to the list. To remove a file or folder from the list, select it and click Remove.